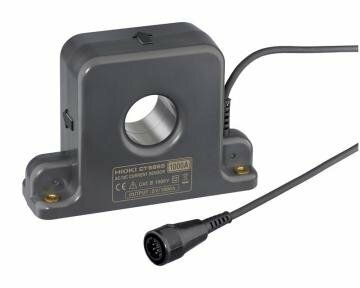 HHioki pull-through AC/DC current sensors are best-in-class devices for use with power meters, Memory HiCorders and high performance oscilloscopes. The CT6865 is rated 1000A and features excellent frequency characteristics for both amplitude and phase, and unparalleled temperature characteristics, making it ideal for high-precision power measurements. 16 Hz ≤ f ≤ 66 Hz ±0.05 % rdg. ±0.01 % f.s., Phase: ±0.2 deg.